Posted byEric Mesa	 16 May 2011 10 May 2011 2 Comments on Goodbye Gnome 2! You probably need to click on the image so that it can be at a useful size. Gnome 2.32 consisted of two panels, one at top and one at the bottom. The one at the top housed menus that we’ll get to in a moment. Next to that are launchers. 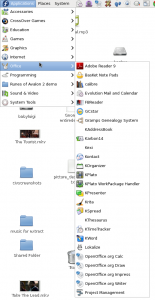 You could put launchers for all your most-used programs there. Because of that, I almost never went to the menus to launch a program. Over towards the right are panel applets. I have some for mounting and for showing the load on my computer. Then there’s the date/time where you can click on it and get a calendar. This area also had icons for certain types of programs like instant messengers. At the bottom you had the button to see the desktop, the list of open programs, the desktop switcher for the different virtual desktops, and the trash. 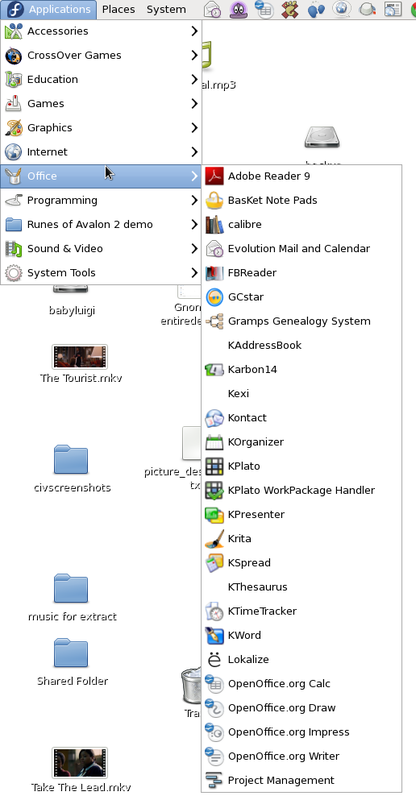 Also notice that the programs have minimize, maximize and close buttons.